Wexford Senior Football manager Paul McLoughlin has named his side to face Derry in the upcoming Allianz League Division 3 clash. The game will be played at Celtic Park, Derry this Sunday 18th March at 1pm. 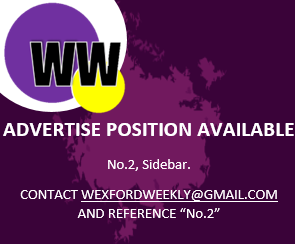 Wexford have accumulated zero points thus far in the National Football League and they are now forced with a mammoth task. “I’m not going to continue to make excuses. We’re simply not good enough, not learning from each game, to make the progress. We just have to bring our game to another level. “We’ve two huge games ahead, Derry next weekend, and then Armagh at home. We could not have asked for a more difficult finish,” McLoughlin told the Wexford People. Subs: M Doyle, C Deveraux, C McCabe, M O’Neill, D Shanley, B O’Connor, D Holmes, A Nolan, Q Saunders, T Rossiter, M O’Connor.